I had planned to stay here for two days but ended up staying for three weeks. Very relaxing place with nice food and great prices. I'm definitely going back! 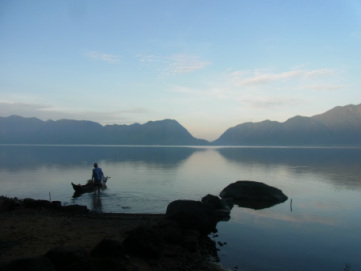 Fisherman at dawn, in front of the Bayua Beach Inn.